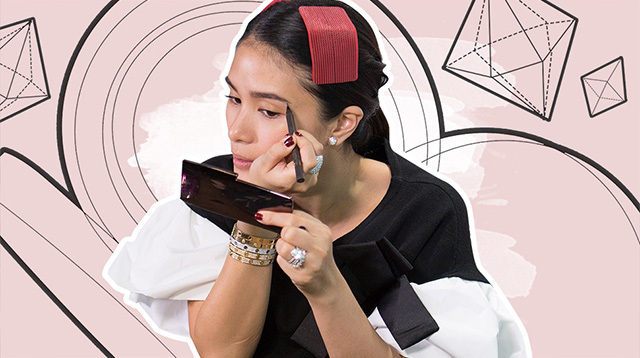 Heart Evangelista is a multi-hyphenate who has numerous talents up her sleeve. To state the obvious, she’s even blessed with one of the prettiest faces in the industry. And with a self-authored beauty book under her belt, it comes as no surprise that she doesn’t need an entire glam squad to make her feel confident about herself. At the opening day of her #CarryYourHeART painted bags exhibit last weekend, Heart looked ethereal in her all-white Patty Ang ensemble. As always, her elegant style knocked it out of the park, but would you believe us if we told you that she actually did her own makeup for the event, too? Go ahead! Play the video below and see for yourself.